No doubt alarmed at the prospect of a Trump presidency, Romney went on Fox News yesterday and revealed what looks to be the GOP's final strategy in derailing the Trump Tsunami. 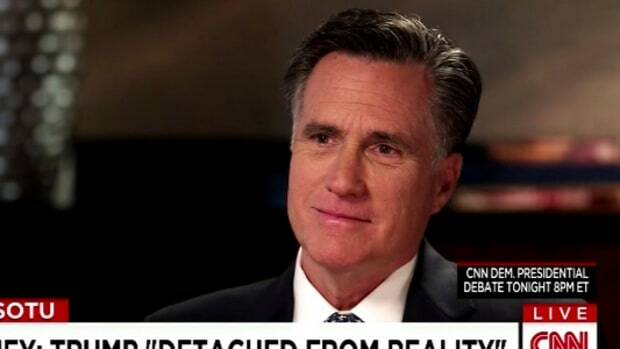 While not outright denouncing Trump, Romney revealed that he would not be endorsing a candidate yet, and was waiting until they released their tax returns -- tax returns he believes Trump will not reveal. 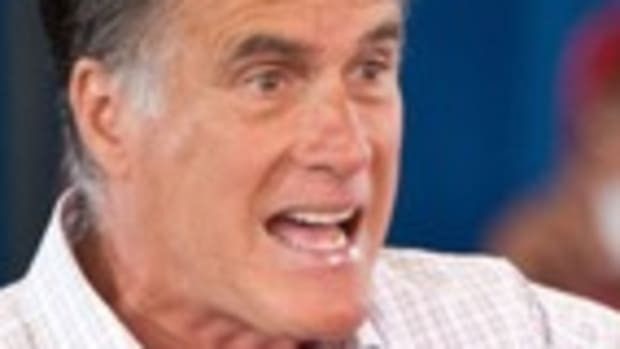 Mitt Romney may go down in history as the last sane Republican to run for president in the United States. Despite possessing the charisma of a deceased rodent, Romney believed in things like science and the role of government in an economy. The money men behind the GOP understood this in 2012, and bet the house on him being the best possible candidate to square off against President Obama. They were wrong of course, but their decision making was grounded it some sort of reality -- a reality they realized was necessary if they wanted to take back the White House. Fast forward to 2016, and the GOP establishment is watching what is left of their decrepit party fracture beyond all hope of repair. As Donald Trump lays waste to everything around him, it looks like the establishment is gearing up for a final hurrah to recapture the party from the grips of a genuine psychopath and hand it back to a controllable candidate who won&apos;t be reviled by half the country, and will do their bidding without question. 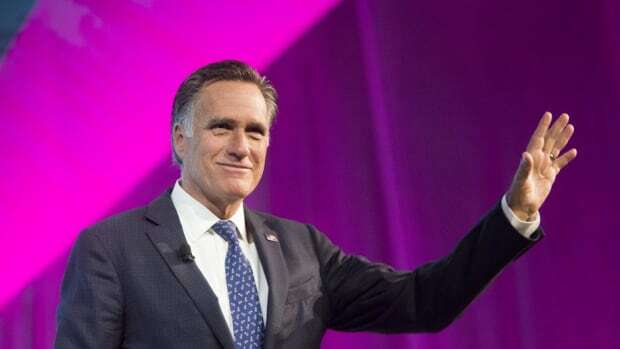 And who better to lead this final establishment push than the poster boy for Republican banality and corporate acquiescence than Mr Hedge Fund Manager himself, Mitt Romney? No doubt alarmed at the prospect of a Trump presidency, Romney went on Fox News yesterday and revealed what looks to be the GOP&apos;s final strategy in derailing the Trump Tsunami. 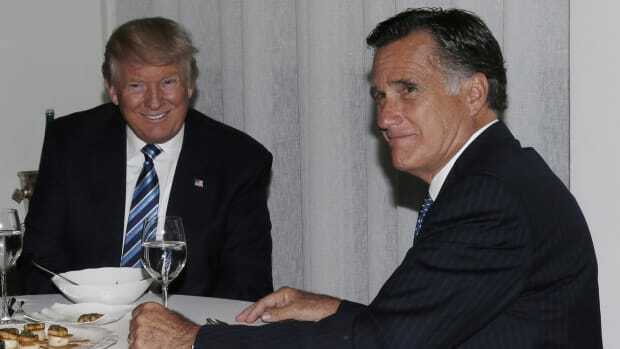 While not outright denouncing Trump, Romney revealed that he would not be endorsing a candidate yet, and was waiting until they released their tax returns -- tax returns he believes Trump will not reveal. 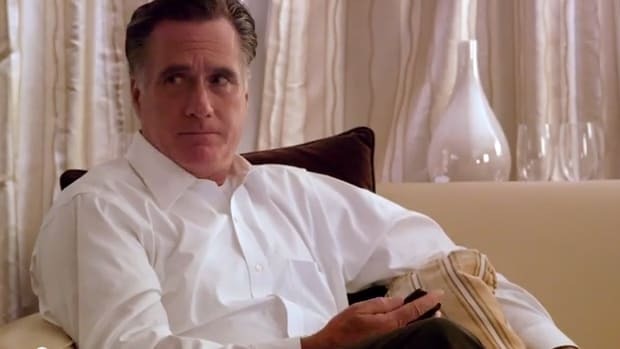 "Frankly, I think we have a good reason to believe that there&apos;s a bombshell in Donald Trump&apos;s taxes," Romney said. "I think there&apos;s something there. 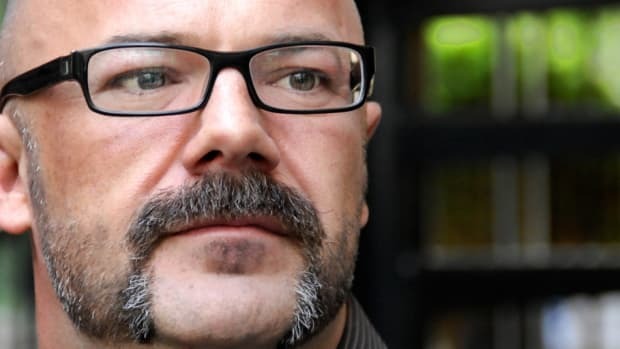 Either he&apos;s not anywhere near as wealthy as he says he is or he hasn&apos;t been paying the kind of taxes we would expect him to pay, or perhaps he hasn&apos;t been giving money to the vets or to the disabled like he&apos;s been telling us he&apos;s doing," he went on. There is no way Romney would mention something like this unless it was based on fact. The establishment clearly knows something about Trump&apos;s personal finances and they are beginning to leak details to the public in the hope that they will see Trump for what he is -- a lying braggart who has invented his wealth and trades off of the powerful image it gives him. While information about a candidate&apos;s personal finance can be pivotal in a political election, the ins and outs of Trump&apos;s apparent fortune may be more important than any other issue. Trump has a long, long history of lying about his wealth. Gawker covered this extensively, going back to the 80&apos;s when Trump was busily claiming he was worth hundreds of millions when -- according to Spy -- he was most likely bankrupt. While talking to the Washington Post about the possibility of a 2016 presidential bid, Trump estimated his net worth at “probably over $10 billion.” This is the largest, most ridiculous figure Trump has ever publicly claimed. Should Trump&apos;s tax returns indicate that he is nowhere near as rich as he is claiming to be, it could seriously dent the mystique he has built around himself and open the floodgates to damaging humiliation. Trump has survived attacks for disgusting sexism, disparaging war heroes, calling Mexicans rapists and pledging to ban Muslims from the country -- all because they actually help foster his tough guy image. 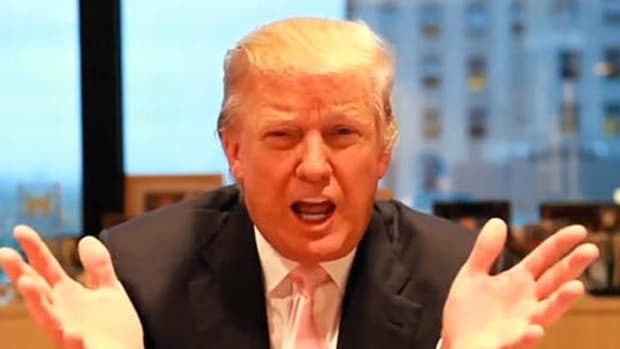 But what if Trump&apos;s tax returns reveal he only has a third of the money he claims he has? This injection of reality into Trump&apos;s fantasy filled campaign cannot be underestimated as it goes to the very heart of what he claims to be. While $3 billion is still an insane amount of money, it isn&apos;t $10 billion -- and in Donald Trump land, that makes a difference. 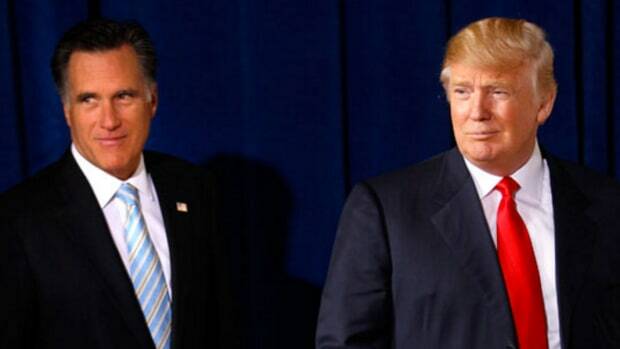 That being said, it probably won&apos;t be enough to take Trump down given his miraculous ability to survive disaster, but Romney&apos;s appearance on Fox News is an indication that the GOP is about to go to war with him in a very meaningful way.